If you didn't think you could make a high speed photography trigger or hack together some creepy googly eyeballs for Halloween, then you've got another think coming, because learning how to use Arduino just got easier thanks to Jody Culkin and her wonderful comic book introduction to the Arduino platform (and electronics projects in general). Jody's comic book introduction to Arduino (which is licensed under Creative Commons) then tells what use you would have for Arduino, covers Ohm's law, explains alternating current versus direct, shows you how to download the Arduino software, and then moves on to the more technical stuff, like connecting your Arduino microchip, wiring a breadboard, and controlling LEDs. 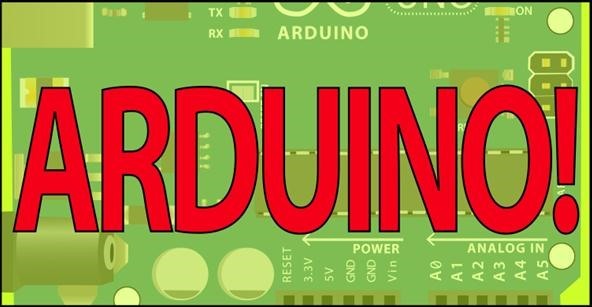 If you ever wanted to hack together something with Arduino, there's nothing better than an illustrated guide to walk you through the process. But of course, you'll need an Arduino kit, which you can purchase from over 25 online electronics shops in the U.S., and even more worldwide. 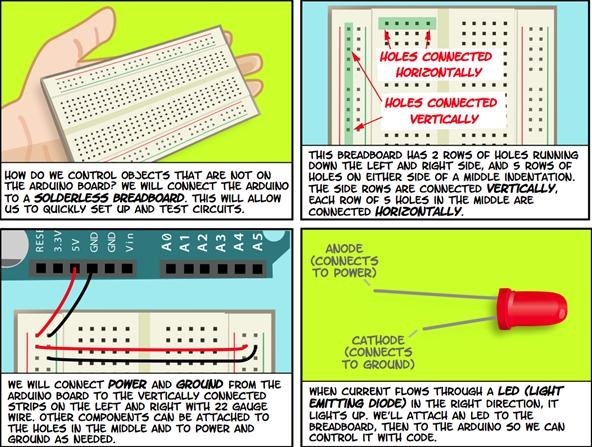 Click through to download the Introduction to Arduino comic as a PDF.